thought, and why anticapitalism and anti-Semitism have frequently been linked. 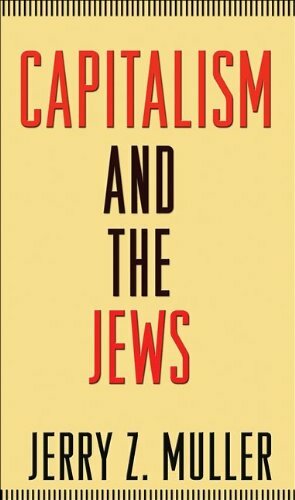 The book explains why Jews have tended to be disproportionately successful in capitalist societies, but also why Jews have numbered among the fiercest anticapitalists and Communists. The book shows how the ancient idea that money was unproductive led from the stigmatization of usury and the Jews to the stigmatization of finance and, ultimately, in Marxism, the stigmatization of capitalism itself. Finally, the book traces how the traditional status of the Jews as a diasporic merchant minority both encouraged their economic success and made them particularly vulnerable to the ethnic nationalism of the nineteenth and twentieth centuries.Providing a fresh look at an important but frequently misunderstood subject,Capitalism and the Jewswill interest anyone who wants to understand the Jewish role in the development of capitalism, the role of capitalism in the modern fate of the Jews, or the ways in which the story of capitalism and the Jews has affected the history of Europe and beyond, from the medieval period to our own. Jerry Z. Muller is professor of history at the Catholic University of America in Washington, DC. His previous books include "Adam Smith in His Time and Ours" (Princeton). His writing has appeared in the "Wall Street Journal", the "New Republic", and the "Times Literary Supplement", among other publications.